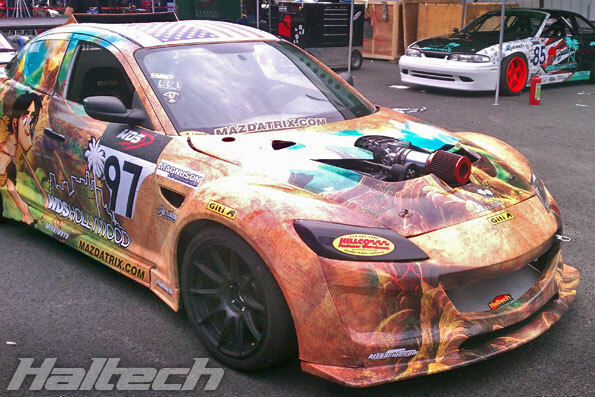 With a brand new engine setup, Kyle Mohan’s RX-8 never sounded better. 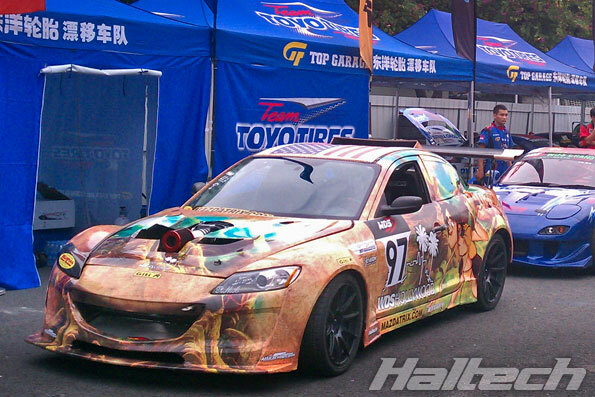 Under the hood of his car lives a freshly built 5.3L, supercharged LS motor. The engine started its life in a 2004 Silverado but has since been rebuilt with an LS9 camshaft and a Magnuson supercharger. 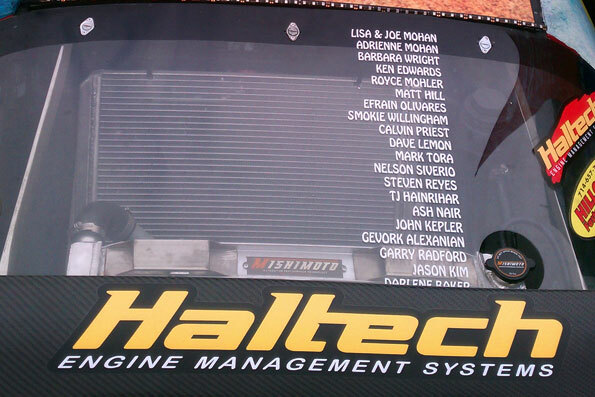 Haltech Sport 2000 performs the engine management duties. 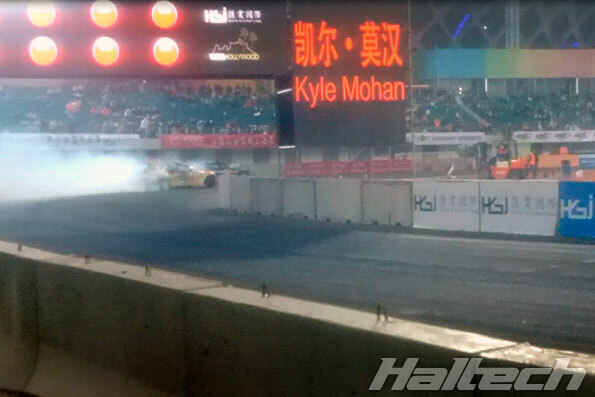 The new engine performed well at the World Drift Series in China with Kyle getting all the way to the final round where an unfortunate engine fire from a faulty oil line put him out of the finals. 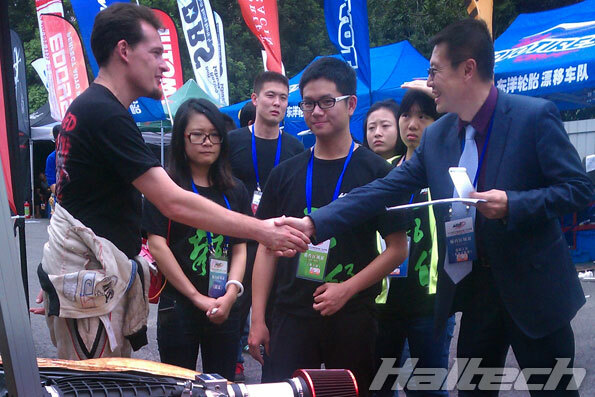 Kyle finished 4th overall in the competition.